The HyperX designation is the prerogative of the fastest Kingston products. This is the case with the Kingston HyperX Fury top-of- the-line with the heatsink in a stylish black design that adds an exclusive blend of colour to the other components (black, blue, and white heatsink). Kingston's Fury memory is especially suited for users who do not want to invest all their money in their machine. At a reasonable price, however, it offers more than enough power to play modern games as well as to work in graphics or other memory-intensive programs, and thanks to the memory heatsink, they also feature long life and clocking capabilities. The modern design looks perfect in every computer case with a transparent sidewall. However, the cooler does not only have a visual function, but it also efficiently removes the heat from the memory chips, increasing their reliability and shifting the limits for the clock. Like all other Kingston products, HyperX Fury memory has been carefully tested, delivering high reliability for both the company and the manufacturer, provide a lifetime warranty and free service support. For shipping to other EU countries visit this page HyperX 4GB DDR3 1866MHz CL10 Fury Black Series. Für Versand nach Deutschland, besuchen Sie bitte HyperX 4GB DDR3 1866 MHz CL10 Fury Schwarz Serie. Chcete doručit zboží do Česka? Prohlédněte si HyperX 4GB DDR3 1866MHz CL10 Fury Black Series. Chcete doručiť tovar na Slovensko? Prezrite si HyperX 4GB DDR3 1866MHz CL10 Fury Black Series. 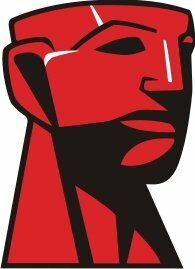 Für Versand nach Österreich, besuchen Sie bitte HyperX 4GB DDR3 1866 MHz CL10 Fury Schwarz Serie. Magyarországra történő kiszállításért tekintse meg ezt a termékoldalt: HyperX 4GB DDR3 1866MHz CL10 Fury fekete sorozat.